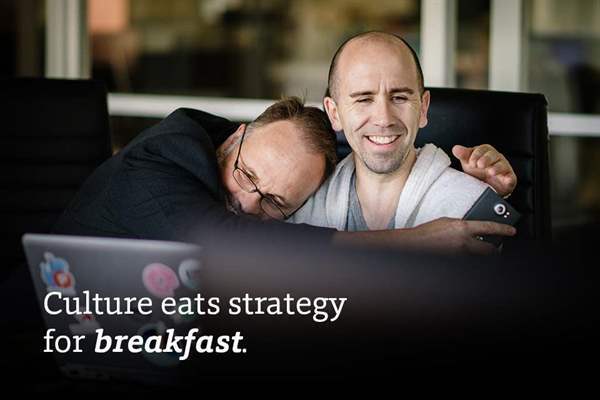 “Culture eats strategy for breakfast,” as the saying goes. Employees today want to feel part of something bigger than themselves and their individual job. Millennials are motivated by more than salary – they want to ensure their needs and values are consistent with the larger workplace culture. 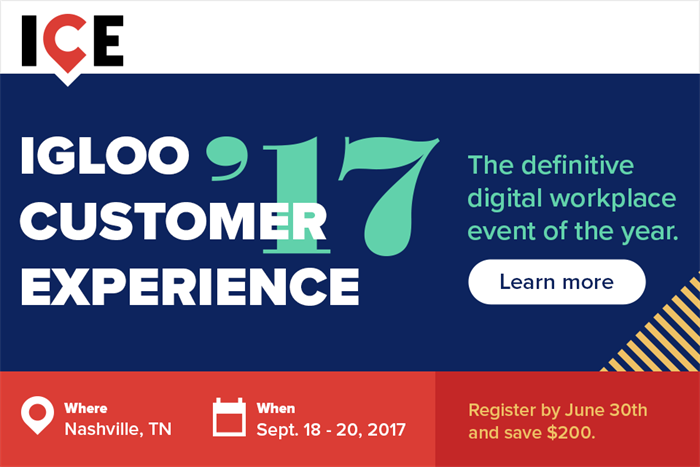 I’m pleased to share that we’ll be hosting our first annual Digital Workplace conference, ICE ’17, from Sept 18-20 at the Sheraton Grand Hotel in Nashville, Tennessee. The inaugural Igloo Customer Experience (ICE) conference will bring together experts and peers across all industries to share strategies and best practices for improving workplace engagement, cultural alignment, knowledge management, productivity and innovation.